When I was first introduced to the principles of intuitive eating during my eating disorder (ED) recovery, it was an “aha” moment for me. Of course, I already knew that I had been completely ignoring my body’s hunger signals by starving or binging. But I realized that even before the ED came into my life, I had actually been ignoring my body’s hunger and fullness signals on a daily basis. Further pondering it, I realized that most people I knew without an eating disorder also disregarded these cues, and – so far as I could tell – our society in general. Damn… a whole society in which everyone is expected to eat a precise number of meals (three) of a standard portion (usually the amount put on the plate in front of you) at three specific times (more or less). How do these cultural standards coincide with listening to our bodies’ signals of hunger and fullness? That’s the problem; they don’t. For those of you new to the concept of intuitive eating, let’s take a look at how three of the movement’s leaders conceptualize it and what their guidelines are for practicing it. 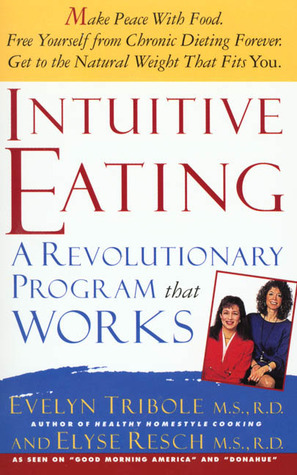 Evelyn and Elyse are the authors of the original book on the topic, Intuitive Eating, now in its 2nd edition. 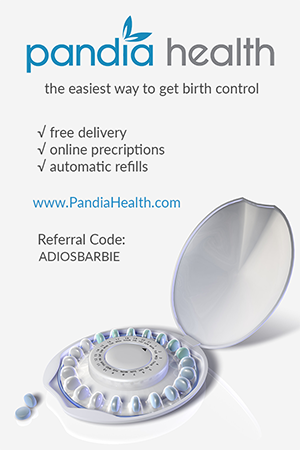 Their website has a wealth of information on the topic including a fantastic resources section. After 20 years of dieting and over 1000 pounds gained and lost (via dieting, binging, and a full-blown eating disorder), Geneen began writing about her journey away from dieting. 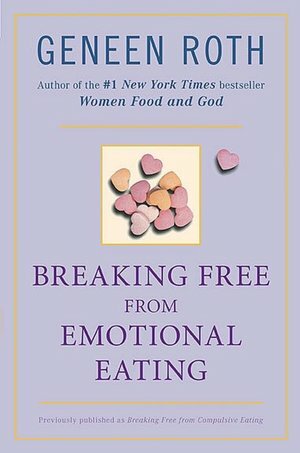 Her books, Breaking Free from Emotional Eating, When Food is Love, and Women Food and God(among others) along with regular workshops and retreats, have helped millions of people make peace with food and their bodies. I actually credit one of Geneen’s retreats I went to in 2005 as a significant piece of my ED recovery and repairing my relationship with food. Eat without distractions. Distractions include: radio, television, newspapers, books, intense or anxiety-producing conversations, and music. Eat only what your body wants. As you can see, there’s a lot of overlap among just these three examples. I would encourage you to check each of them out and see which one speaks to you the most, because each author brings something different to the table. I am proud to say that through a combination of support and hard work, I am fully recovered from my eating disorder. Intuitive eating has become such a part of my everyday life that I could no longer tell you what the exact principles were according to which expert—which is why I had to look them up to provide for you here! To me, that’s a good thing. At one point, I needed constant reminders. These days, it feels like second nature most of the time. Key words: “most of the time.” This evening, however, I let myself get too hungry (note to self: pack car snacks). But instead of picking up fast food and gorging it on the way home, I waited until I got home and had some hummus and crackers to tide me over so I could wait to make a meal I’d actually enjoy rather than inhale. I hope that you’re encouraged to become more familiar with the principles of intuitive eating and tweak the guidelines to make them fit for you. As you become more in tune with your body’s cues, it can be helpful to keep a journal where you can track your hunger and fullness before and after each time you eat. 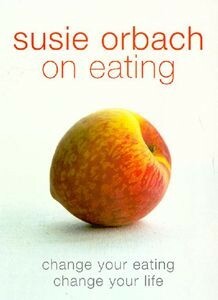 As Susie Orbach wrote, “Undoing years of chaotic or unhealthy eating takes time. Learning to eat in a new way, a way that will work for you for the rest of your life, is like an injured person learning to walk or talk again.” It won’t come overnight, but the results are worth it. If you have any thoughts or experiences with intuitive eating, or if it’s a new concept to you, we’d love to hear your feedback in the comments. On that note, my body is telling me it’s finally time to eat! I love, love, love Intuitive Eating. It helped me so much with my eating disorder. I should reread it! And Geneen is wonderful. I’ve only read “Women, Food, and God,” but it’s incredible.